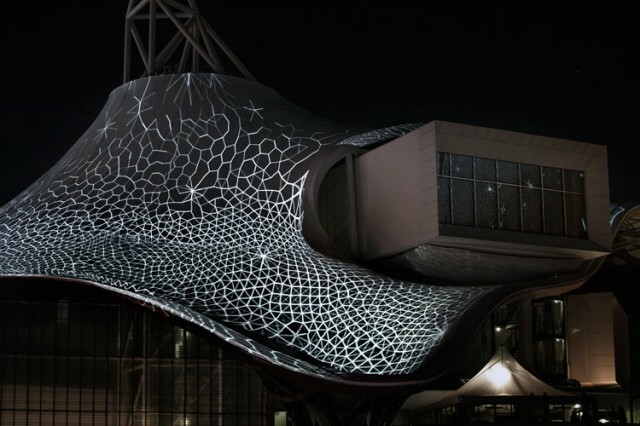 One of the most inspirational projection mapping projects I have seen for a while by Anti VJ. 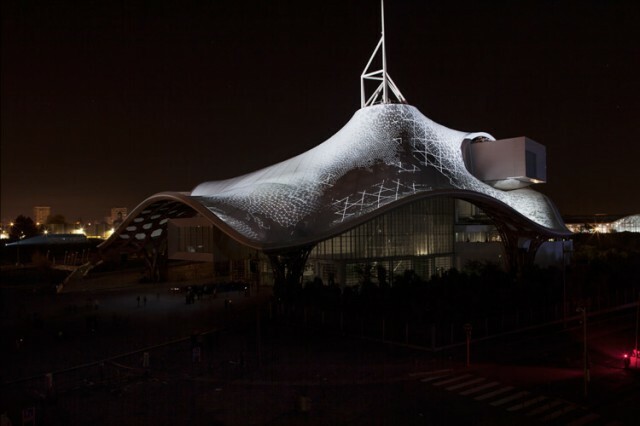 Originally a video mapping installation created for the singular architecture of the Centre Pompidou Metz museum, Paleodictyon The App is its digital counterpart. 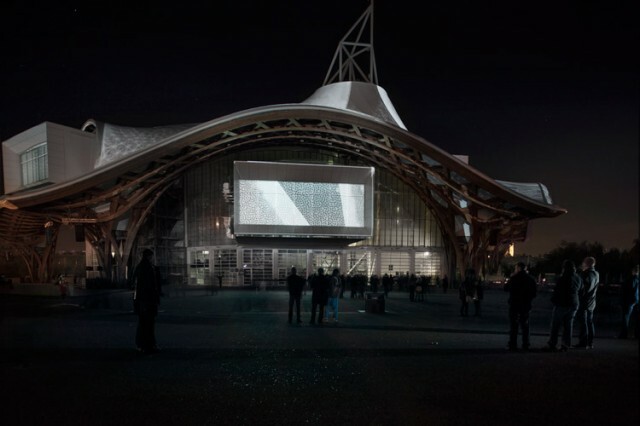 Developed by Simon Geilfus, who co-directed the original piece, the application makes use of the same video mapping technique, however here it is instead transposed to a digital space, where virtual projectors give light to a 3D model of the museum. A digital replica. More information about the Paleodictyon installation can be found here.